(C) 2018 Bethesda Softworks LLC, a ZeniMax Media company. 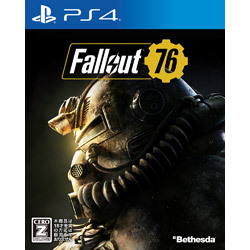 Bethesda, Bethesda Softworks, Bethesda Game Studios, ZeniMax, Pip-Boy, Vault-Tec and related logos are registered trademarks or trademarks of ZeniMax Media Inc. in the U.S. and/or other countries. Fallout, Vault Boy and related logos are trademarks or registered trademarks of Bethesda Softworks LLC in the U.S. and/or other countries. All Rights Reserved.